Understanding When You Should Require Of Oakville Pest Control Service For Your House? Home Rodent Inspection Service Nearby www.maximumpestcontrol.ca (905) 582-5502 or (289) 396-5426. Contact Us Now! We all know Halton Region Ontario – Oakville, Burlington & Halton Hills belongs to the Golden Horseshoe of southern Ontario as well as a very charming places to visit & settle down, likewise many kinds of invading rodents & pests that constantly cause a severe damages to homes and businesses such as: Mice, Rats, Carpenter Ants, Spiders & Wasp especially in the summer season. If you possess a house, a condo or ready to buy a new house, you should understand simply how very vital it can be to promptly get rid of pests in your residential property to protecting the health of your entire family from mice & rats feces, bed bugs as well as the house cockroaches. Just as winter season arrive, prepare your residential or commercial property with strong preventative lasting pest control remedies done by MAXIMUM ministry approved technicians helping you to get rid of the bugs from home before they choose to attack your property and multiply. Also keep on the lookout in the summer season for spiders, wasp & ants that possibly could move inside your property as the cold season start to arrive. Maximum Pest Control Services is a top leading Oakville pest control service, ensures to entirely eliminate all types of infestation that you might come across your path. Maximum certified technicians will certainly come over to inspect your commercial or residential property including nearby town houses & condominiums to assess the issue prior to dedicating to our available pest control protection packages . We will certainly not just get rid of the current problem, but carry out a preventative working pest control approved IPM techniques that will help the rodents not to visit once again. MaximumPestControlServices Providing Burlington pest control service to homeowners, apartments & condos throughout the Halton Region Area, consisting of Oakville, Burlington as well as helping Mississauga ON nearby municipality with the best pest control in Toronto ON. 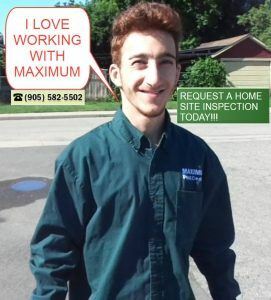 Call Maximum now for a home inspection pest control assessment (905) 582-5502 or (289) 396-5426. Maximum Here To Help!